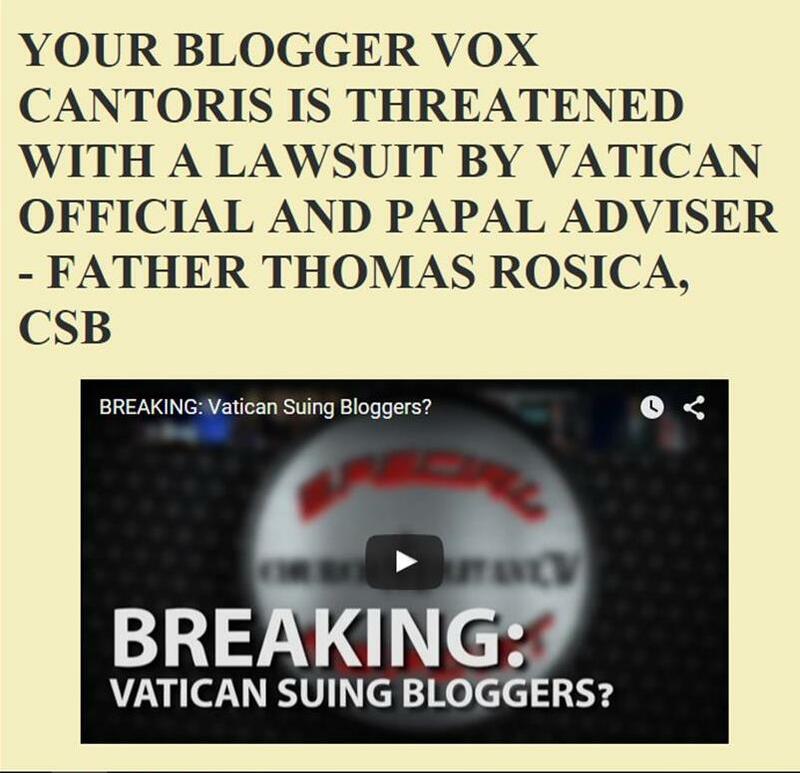 Vox Cantoris: Hey Rosica - Plagiarise this! Hey Rosica - Plagiarise this! The quotes below are not plagiarised. They were not written by a Salt + Light intern. They were written by a Catholic priest, the Executive Producer of Salt + Light, a Consultor to the Pontifical Council for Social Communication and a man who is now discredited in the academic community for his theft of other people's ideas. Can you imagine that behind my back he would go to my employer and gossip about me and undermine me? Note, he was talking about my employer, he was trying to undermine me and my career! "Something went wrong somewhere and I feel your sadness." "I might make the suggestion the title of your blog be changed to "Vox Umbris" rather than Cantoris!" 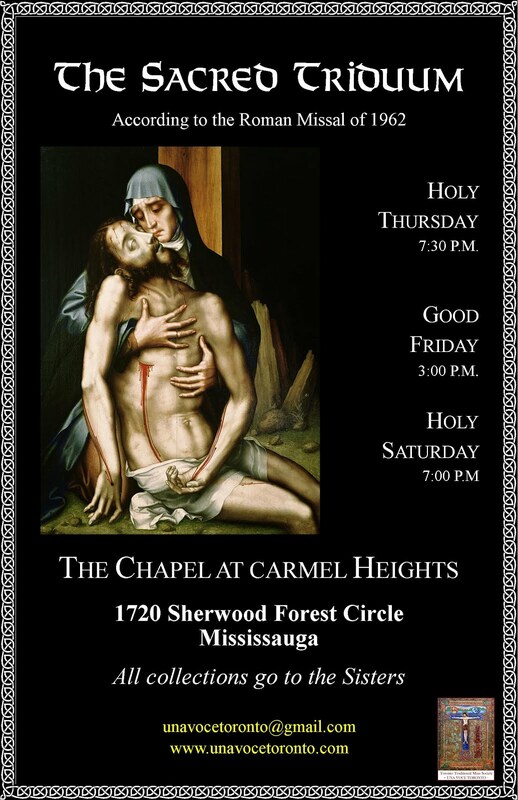 "May the Lord grant you the peace you are seeking this Lent. No guarantees you will find it this side of the Resurrection but keep seeking." "All it takes is a keyboard and screen to become an expert. Fr. Z is one of many. Why do you feel it necessary to follow the crowd? What is really eating away at you regarding the liturgy? It says much about you." "Your keyboard and your monitor do not make you a bishop or liturgist." "God bless you and grant you peace you are not finding in our Church! Amen." "In "broadcasting" yourself, you actually set yourself further and further away from the Church. You are above any form of recommendation and suggestion and are part of a clericalism far worse than any cleric." "How sorry I feel for you." "The Father Corapis, Eutenauer and the Vorises of this life will not lead you into true life and authentic healing. I know you know that but will simply not admit it." "I am sure you would have difficulty with her (Mary's) response to the angel, and her Son’s response to the sinners with whom he kept company." "As the stories emerge from those who know you and from the pastors and parish communities whom you tried to assist with your "chant" and succeeding in causing such division, know that we keep you in our prayers. It is indeed a very sad story that hides itself behind Latin, chant, and a blog that is nothing more than a story of anger and sadness." I beg he Holy Spirit to open your eyes, heart and mind to the Truth, not the myth you are pushing as the real Church, the "real" Catholic TV, the real nonsense. God bless you... from Madrid . This is called JUSTICE OF GOD... "You fight by the sword, you die by the sword" ... But what has happened to our clergy? !!!!!!!! Great moment of justice. Praise be to God! What a freak. I hope he had as good time in Madrid. Nothing, and I mean nothing, is worse than false Christian charity. "God bless you and grant you the peace you are not finding in our Church! Amen." I despise the man instead of praying for him with hope. I am quite sure this is not good. My conscience tells me to repent. Don't you realize that Rosica breaks legalistic rules and traditions whenever he wants because he is free from disordered attachments? This writing style is all a new phase driven by individuals rather than by the authority of Academia alone or even its own dictates of rightful attribution plus law. It's what we like to call in the biz 'copy cunning'! Such openness is a signature of Rosica's training and development. Even he is sure where the spirit of inspiration leads. Johnno that was hilarious comment. What a sick man. I'm sorry, Vox. Vox, you should add this story to the list of despicable acts this guy has attempted. Seriously, what the hell is wrong with this man? To think I was once trying to volunteer/get a job at Salt+Light. But I dodged a bullet due to being too Catholic for their liking, even for unpaid volunteer work they were recruiting for. Also resigned from the boards of St. John Fisher College and the University of St. Thomas in Houston. With clergy like that who needs enemies. It's so weird to see snark in a priest or bishop but maybe it's not even his snark and he borrowed it from someone else. Those of us old enough to remember old days still want to think of our priests as above that, we're still adjusting to priests acting like snotty adolescents. I know you suffered from this stuff Vox, and I'm sorry that happened to you. Vox you are and always have been, since I have known you, a Miles Christi! God bless you. does anyone actually watch 'pepper and darkness'? Actually, there are people who do watch P+D. Tom has his fan club, people who somehow maintain he is a good priest (I do suppose they all don't know the full story, in charity), as his Facebook page gives ample evidence of.